Pakistan’s outrage due to the dead-slow internet in the past few days hasn’t even settled yet and we have more bad news for you. Everyone’s used those online Speed Tests for measuring their effective internet speed, haven’t we? Well, a similar Speed Test service Ookla has published a monthly report named Speedtest Global Index based on the internet speeds of all countries during a 1 year period. The report will be updated every month. The first version of the report is out and if you used to brag about your blazing internet speed in Pakistan, this report may serve as quite the eye opener. According to the rankings, Pakistan was ranked among the countries with the slowest internet speed. Among the two categories – mobile and fixed broadband – Pakistan was ranked at 98th and 124th spot among the 133 countries. Quite a picture of gloom, isn’t it? The rankings also show how many places a country has dropped or moved up from the previous month’s rankings. 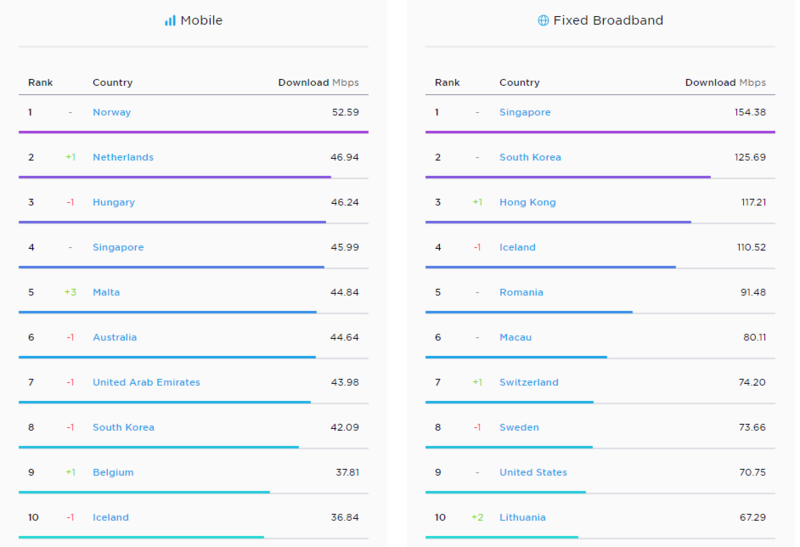 In the mobile internet category, Pakistan jumped 4 places to reach the number 98 spot, whereas, for fixed broadband, Pakistan declined 5 places to 124. To be ranked in each category, countries must have at least 670 unique user results for mobile and at least 3,333 for fixed broadband. It uses both download and upload speeds to aggregate an overall index. In the journey towards high-speed global connectivity, the data can “uncover trends and detect potential storylines”, says Ookla. Norway is the world leader in mobile internet speed with a download speed of 52.29 Mbps, whereas Singapore topped the chart in fixed broadband with a mammoth 154.38 Mbps internet speed! Singapore, South Korea, and Iceland are in the top 10 in both categories. 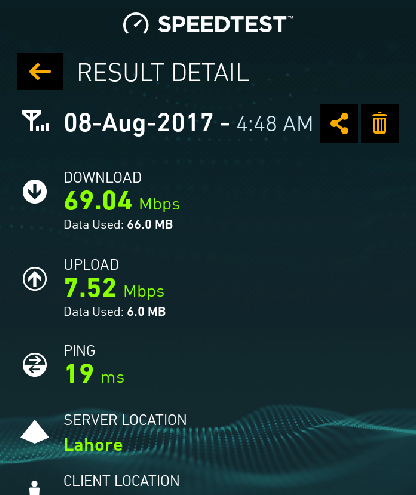 While the Internet Service Providers all across Pakistan are busy trolling each other, Pakistan is facing the heat in the global internet speed competition. You can take a look at the complete list here. Nothing to worry as we are at least better than india in terms of Mobile Internet. 1947 Se Aj tak Hum Bus INDIA He Se Muqabla Kar Rahe hai ! Hum Kab Khud Ko Norway Singapore Etc Se Compare Kare ge ??? Yaar har banday ko sarcasm btana kyun parrta hai? India is 4 times bigger than Pakistan and has about 1 billion more population. But nothing to worry about. As long as totay chal jatay hain 3G par, sab set hai! Yeh totay kya hotay hyn bhai? I commented in a sarcastic way brother. Keep enjoying Reliance Jio. now Jio also give 3months validity on Rs399 INR recharge. unlimited calls any network, 1GB 4G per day, 100sms per day + JioTV apps FREE. Head line should be as we improved four position in mobile broad band. As this is what I really call it negative journalism over all. Ranked 98th and 124th out of 133 countries. Improving 4 positions is nothing to celebrate. It’s dismal performance whichever way you look at it. Saying it is “negative journalism” is laughable. Facts are facts even if you don’t like them. is se ziada lanat de cheez hai? shhhh! nhe to salon ne phir se submarine cable par fish or magarmach chor daine hain. Package Details & Available at All Area of Karachi ??? Or Only in Gulshan ??? The moment you realize you had the fastest internet in the world…… ZoNGFTW…. Rs 25/30 to is data test k volume pe he lg jaengy shyd.